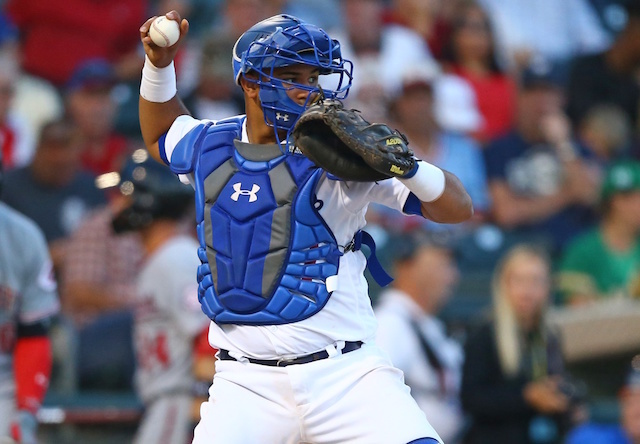 Los Angeles Dodgers catcher Keibert Ruiz was ranked the third-best prospect at his position for the 2019 season by MLB Pipeline. It’s Ruiz’s second appearance in the rankings, previously checking in at No. 3 last year as well. Ruiz trails only San Francisco Giants catcher Joey Bart and San Diego Padres backstop Francisco Mejia on the list. Rounding out the top 10 in order are Sean Murphy (Oakland Athletics), Danny Jansen (Toronto Blue Jays), Ronaldo Hernandez (Tampa Bay Rays), Miguel Amaya (Chicago Cubs), Daulton Varsho (Arizona Diamondbacks), M.J. Melendez (Kansas City Royals) and Andrew Knizner (St. Louis Cardinals). Fresh off his breakout campaign in 2017, Ruiz spent the entire 2018 season with Double-A Tulsa. He enjoyed a productive year, hitting .268/.328/.401 with 14 doubles, 12 home runs and 47 RBI over 415 plate appearances (101 games). 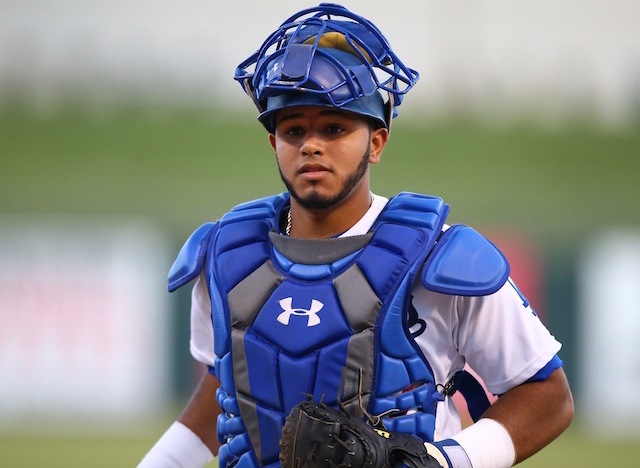 At the end of the season, Ruiz received extra playing time with the Arizona Fall League’s Glendale Desert Dogs. In 13 games, he batted .286/.357/.306 with one double across 56 trips to the plate. Ruiz was named to the AFL top-prospects team afterward. He later received recognition from Baseball America as the Dodgers’ top prospect entering the 2019 season. Ruiz figures to see the majority of his opportunities with Double-A Tulsa and Triple-A Oklahoma City in 2019. A potential September promotion to Los Angeles shouldn’t be ruled out, either, though the 20-year-old projects to be Major League-ready in 2020. To protect him from potentially being selected in the 2018 Rule 5 Draft, the Dodgers added Ruiz to their 40-man roster earlier this offseason. He’s one of four backstops part of the group, joining Austin Barnes, Rocky Gale and the newly-acquired Russell Martin. Though, Ruiz’s name has reportedly been included in recent trade talks with the Miami Marlins for J.T. Realmuto.